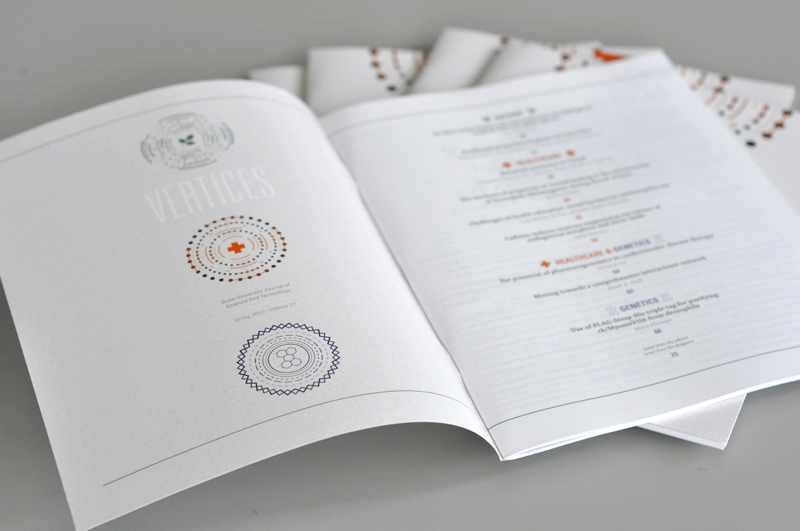 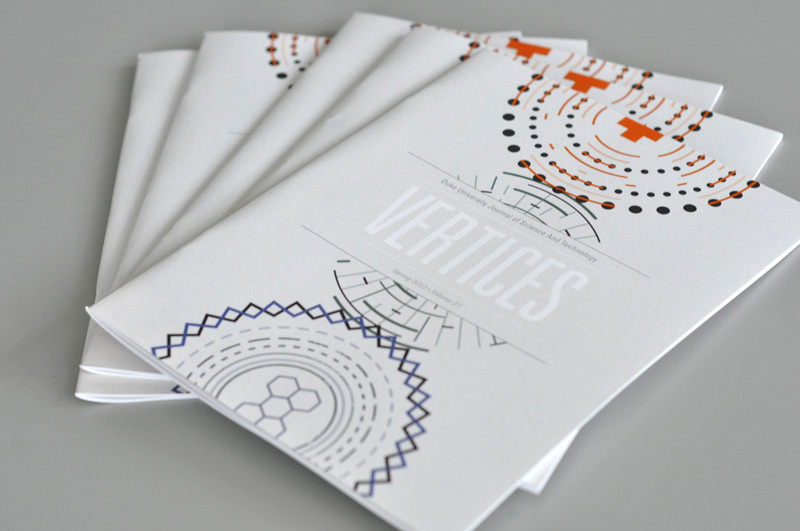 A collaborative effort between Duke University and NC State College of Design, Vertices is the annual Duke Undergraduate Research Journal. 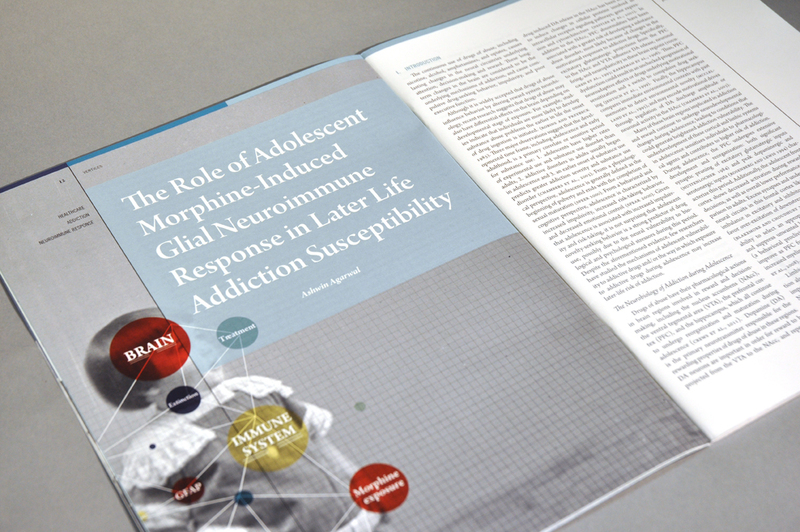 I designed, illustrated and typeset two articles in Fall 2011 issue and helped with the theme development & pre-flight process of the publication. 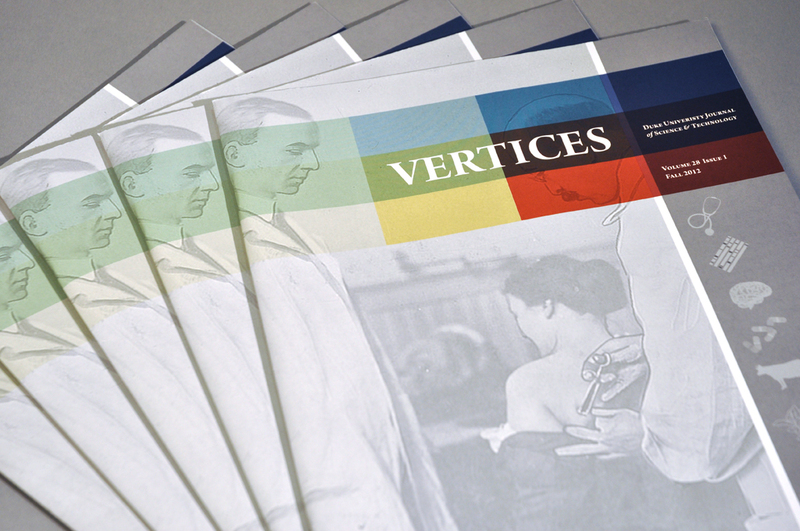 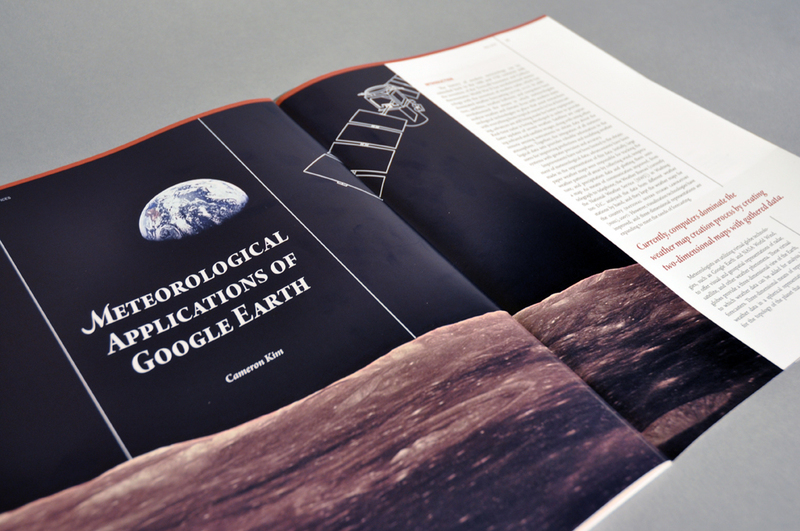 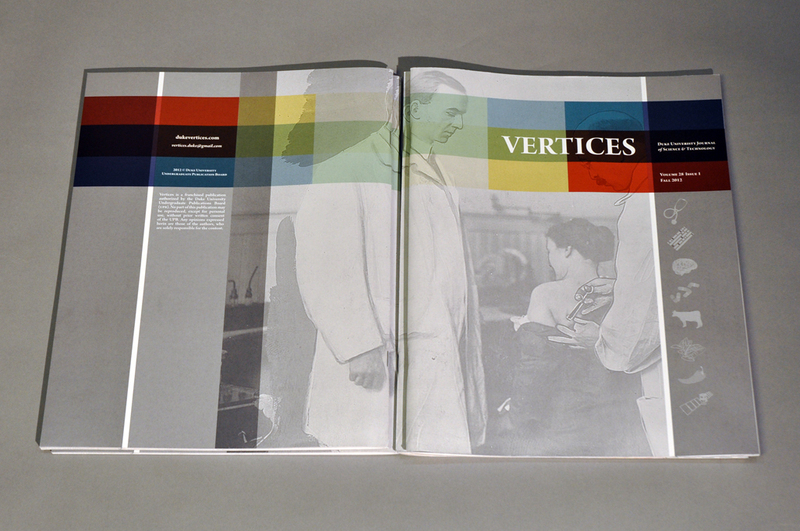 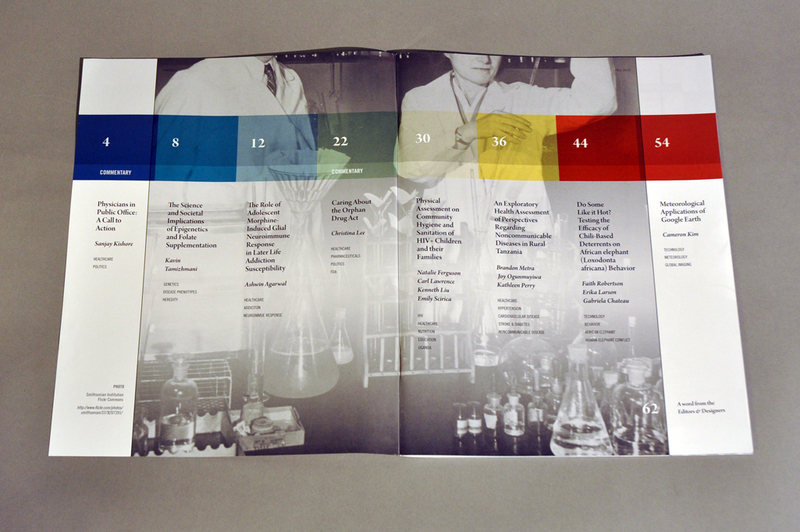 As the Lead Designer for the Spring 2012 issue, I collaborated with the Vertices editors at Duke University and managed a group of 9 designers to produce a 62 page publication of undergraduate research. 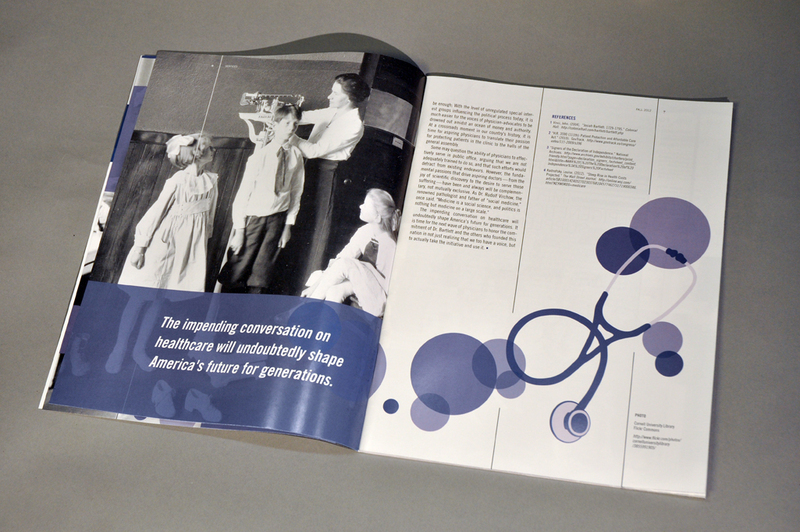 This project required meticulous attention to detail. 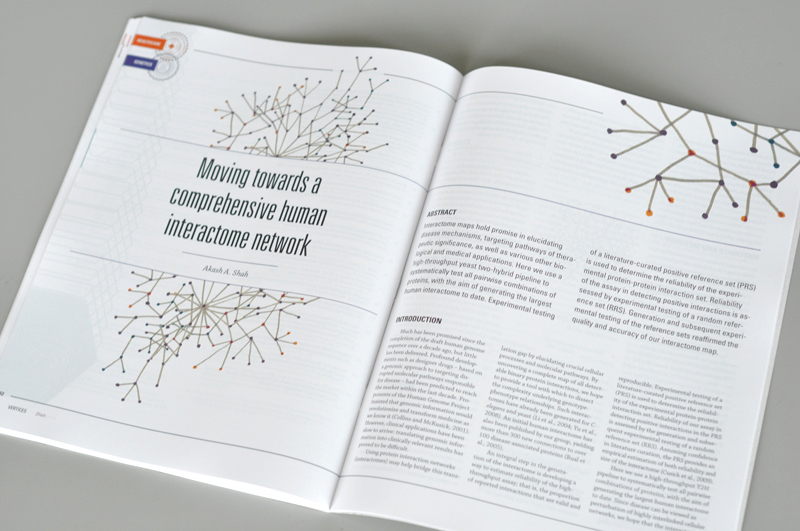  Delegating tasks and implementing a streamlined workflow allowed us to maintain our deadlines and produce a cohesive reflection of the students’ work.